Its been a while since I wrote in general terms about the future of Charleston SC real estate. Back when I was all about Cannonborough Elliotborough in the mid 2000s, the path of progress seemed so simple. The Charleston peninsula is surrounded by water…people moving here from throughout the rest of the country at an alarming rate (some say as many as 60 per day)click here to read article and real data. In 1989 when my artist father and school teacher mother purchased an enormous victorian home on Bogard Street in the Elliotborough neighborhood, I didn’t know anything about city life. I did notice how easy it was to ride my bike down to the market where my friends hung out on Friday and Saturday nights. 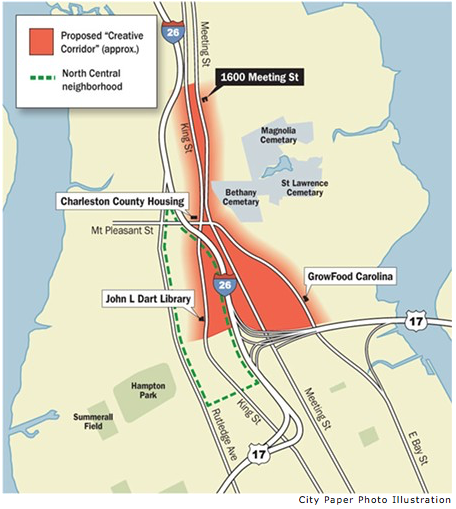 The market area of Charleston is what I refer to as the EPICENTER of the Charleston SC real estate market, some say the epicenter of the southeast. I have another blog post that I’m working on about my epicenter concept of investment and how the link between commercial rates and residential equity investment can equal big returns in the real estate investment strategy. Click here to read more about the EPICENTER THEORY. Fast forward to today’s market and see the trend play out. Wagener Terrace above Hampton Park has become almost unobtainable to first time home buyers, as prices soar above $400 per square foot. Comps in North Central adjacent to Wagener Terrace are trailing behind as close as they have ever been, erasing the line created by Rutledge which was once a real value barrier. This aggressive increase in North Central home values can be attributed somewhat to the migration of commercial ventures up the neck. Appreciation is being spurred by the desire for walking distance to great shops and restaurants as they become priced out of the lower peninsula by chains such as Ruth Chris. The “locally owned” restaurant groups that have moved uptown include Butcher & Bee with multiple north of Calhoun Street foodie favorites, Edmunds Oast, Home Team BBQ, Goat Sheep Cow and many others. The commercial shift has sparked a giant amount of commercial speculation in the area leading to lot sales of record breaking prices.